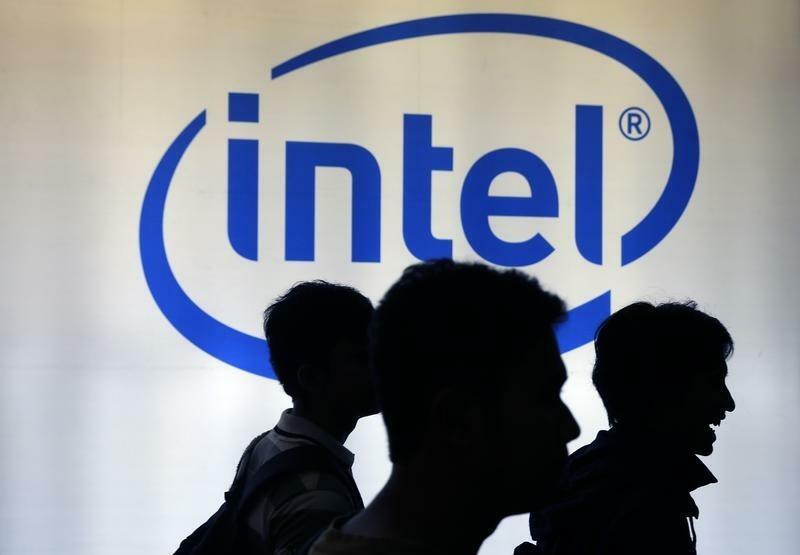 BEIJING/SAN FRANCISCO (Reuters) - Intel Corp said it will pay as much as $1.5 billion (920 million pounds) for a 20 percent stake in two mobile chipmakers with ties to the Chinese government, in the hopes of catching up in a smartphone chip industry dominated by rival Qualcomm Inc.
Intel will acquire the stake in Spreadtrum Communications and RDA Microelectronics through a deal with Tsinghua Unigroup, a government-affiliated private equity firm which owns the two mobile chipmakers. The U.S. semiconductor company, more known for chips used in personal computers, has struggled to gain traction in the smartphone and tablet market. The landmark deal would give Intel a greater foothold in the Chinese mobile chip market, which has become a nexus of the global smartphone industry. Conversely, the deal would provide two Chinese chipmakers support from a U.S. semiconductor giant on chip design and development, an area deemed to be of vital strategic importance by the government in Beijing. "It has become a national priority of China to grow its semiconductor industry," said Tsinghua Unigroup Chairman Zhao Weiguo in a statement released by Intel on Friday. "The strategic collaboration between Tsinghua Unigroup and Intel ranges from design and development to marketing and equity investments, which demonstrate Intel's confidence in the Chinese market and strong commitment to Chinese semiconductor industry." Speculation of the deal has been rife in the Chinese press for several weeks. The announcement confirmed a report by Reuters earlier Friday. Intel's stake will be via a newly created holding company that owns the units Spreadtrum Communications and RDA Microelectronics, Unigroup said, adding that the deal is still waiting for government approval. Unigroup is controlled by the prestigious Tsinghua University in Beijing. The institution counts China's President Xi Jinping as one of its alumni. The government in Beijing has said in published policy papers that it views semiconductors as an industry of vital strategic importance and hopes to spur its development domestically. Since Brian Krzanich took the helm last year, Intel has pursued an array of deals and strategies to ensure its chip technology gets into more smartphones and tablets. The newest investment comes less than six months after Intel reached an agreement with Chinese chip maker Rockchip to make inexpensive tablet chips with Intel's architecture and branding. The CEO has also opened the chipmaker's prized, cutting-edge factories to paying customers. More recently he has struck partnerships in the fashion world with companies such as Fossil Group and Opening Ceremony to design stylish smart clothing. "Intel's new CEO has proven to be willing to take on new partnerships and approach new business opportunities that stray from prior conventions," said Suji Da Silva, an analyst at Topeka Capital Markets, before the announcement. "They should do as much of this as they need to be in markets that are important to them." While Intel excels at developing processors for laptops and desktop computers, it has less experience designing "system on chips" or SoCs, the key processors on mobile devices, which combine features such as modems, WiFi and memory. The company's stock has risen 32 percent this year, in part because of stabilisation of demand for personal computers. With demand for smartphones cooling in the United States, manufacturers have increased their focus to China, where demand is strong for handsets priced under $150. Spreadtrum is one of several chipmakers that specialise in turnkey smartphone platforms that are easy for manufacturers to use.